When it comes to price, some companies like to use that as a differentiator as a way of standing apart from the crowd. Take for instance one large insurer and the launch of its recent subscription style product. Features of the product include premiums that are paid monthly, no APR, no charges to cancel or change the product and a renewal price guarantee for home and car insurance. While this is a good start, industry insiders say this product was launched in response to the UK Financial Conduct Authority’s (FCA’s) and the Competition & Market’s Authority’s (CMAs) concerns about how loyal customers are being charged more than new customers. But when it comes to Treating Customers Fairly regulation being fair on price is just the tip of the iceberg. Essentially, it’s about embracing strategies that make customers loyal to a broker. Being fair, honest, clear and always there for the customer. Here we explore the opportunities TCF brings, the impact it can have on the bottom line if not followed correctly and the solutions you should be adopting in order to meet TCF standards. We realise it's always a challenge, but your customer will thank you! The FCA explains that TCF is a cultural issue and it expects the corporate culture to be adopted and driven from the top. 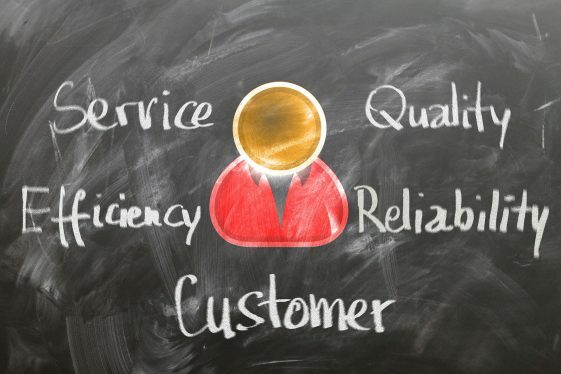 Are customers getting the service they deserve? Well, senior management and the board should be receiving information about this and practical steps should be implemented in order to achieve a fair standard of service for consumers. In other words, they don’t just want firms to adopt TCF legislation like robots. They want the rules to be in their blood (so to speak). They do acknowledge that larger firms may struggle with this initially while smaller firms will have the upper hand in achieving these aims as they are less bogged down with legacy issues and the fact that changes have go through several layers of management before they are adopted. It’s not uncommon for the industry to sell products that customers don’t need or can’t afford. When it comes to the insurance sector the miss-selling of payment production insurance (PPI) comes to mind. Don't get us wrong, PPI insurance can be very useful. But for years companies made customers take out this type of insurance alongside credit cards and other types of loans and unfortunately many policies were not suitable for those customers. It meant that, come claim time, they would often have their claims rejected because they didn't meat the insurer's requirements. So while it may sound obvious to sell customers the right product for their needs - it's not uncommon for the industry to get this horribly wrong. Gone are the days where companies could hide terms and conditions in the small print and get away with it. It’s important to tell customer about the effect of their choices and not have dig through the fine print to understand it. For instance, if they decide to pay less in premiums it’s vital to explain the difference excesses make. Come claim time they will have to pay more for damages out of their own pocket – and this is often not adequately highlighted. If there are any price discrepancies, customers need to know what it means to them. This involves all forms of communication, including advertising and other forms of marketing. It must all be clear, fair and not misleading. Keeping things simple is also best to ensure fairness to the customer. It boils down to doing things like not asking unreasonable things of the customer. For instance, asking questions like ‘Do your locks conform to BS3621?’, ‘What will it cost to rebuild your house?’ and ‘How many bedrooms does your house have’ are not necessarily as straightforward or easily understood by the customer as it is to the insurer. With the first two questions, unless your customer is a professional locksmith and builder there is no way that they would reasonable be able to know the answer to these questions. While the third question may seem quite straightforward your client may not consider every room in the house to be a ‘bedroom’. This was an honest mistake though. The customers, Paul and Sophie Weldin, said they had five bedrooms because the two attic rooms were used for storage and not for sleeping in. So here you can see how something that may seem obvious to a corporation may not seem so black and white to the consumer. And insurers and brokers need to put measure in place to draw out the information they need from customers and offer more clarity. Customers are after insurance products that cover their prized possessions and lives. They don’t want to find out at the point of claim that the product won’t function as they thought it was because of technicalities. To them it then seems like the industry is hiding behind these rules and technicalities to avoid paying out claims. Here you’ve got to understand that the customer is not an expert in insurance or their needs – you are! How would they, for instance, be expected to know that any changes to the security of their homes must be disclosed to the insurance company or their claims could be invalidated? Their financial circumstances may also change, and they may need to lease out one of their rooms. But how are they meant to know that having a new occupant in their home could have a bearing on their insurance policies? This point is all about providing a good product and treating people as they would expect to be treated. If the product is exposed to some kind of risk, such as stock market fluctuations, they need to be told of these risks in a clear and easy to understand fashion. If a product performs poorly, then customers are also still entitled to be treated fairly. For instance, insurance products may not always pay out due to certain exclusions, e.g. pre-existing conditions, etc. Customers change their mind all the time – and they should be allowed to do so with ease -without impediment - or feeling intimidated while they do so. It can be frustrating that customers change their mind – but it is their right and it’s absolutely right that businesses cater to this. In the past, companies have made it difficult for customer to switch products to make it harder for them to leave – but this way of ‘holding a customer to ransom’ is no longer acceptable. However, you may not always be around to cater to them, but this is where you can add technology to the mix. Your website and apps can make it easy to switch products, enter initial claims or complaints. Letting customers change their products or switch online also reduces awkwardness as they won’t feel the need to explain themselves to a call centre agent, apologise or justify why they want to do a particular action. Not adhering to the above outcomes can result in eye-watering penalties from the regulators. What’s more, it can all result in a lack of trust by customers. It could mean that they don’t claim at all, become suspicious of skyrocketing premiums (so avoid insurance as a result) or inflating a claim believing that loss adjusters will inevitably reduce them. Lack of trust can also lead to reputational damage which could mean fewer customers and an impact on the bottom line. As we said in the beginning, there’s currently a lot of talk about dual pricing in the industry but TCF regulation is about more than that. It’s about providing a good, fair service to the customer (as part of the name suggests, of course). You may then think ‘But providing a super service is bound to cost more money!’, particularly if new technology or software that needs to be introduced or upgraded. Well, that may be correct, but you are perfectly in your rights to charge more for this and in the same instance deliver the outstanding product and service that the customer deserves. It’s also far better than paying penalties or losing customers because your lack of TCF compliance has resulted in them not trusting your business. People will pay what you ask – particularly if you offer them great service where they keep coming back for more.